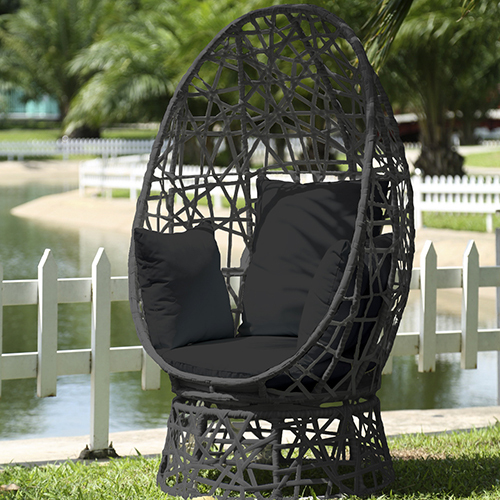 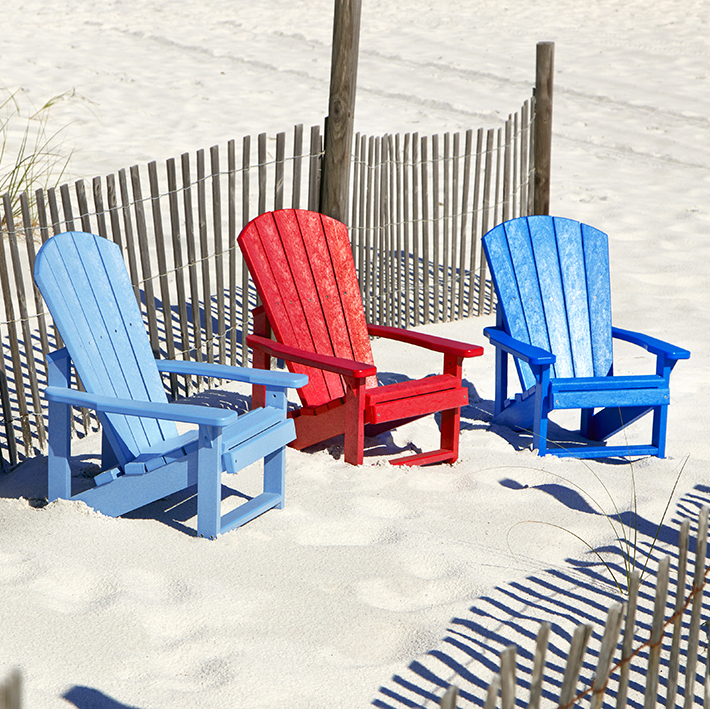 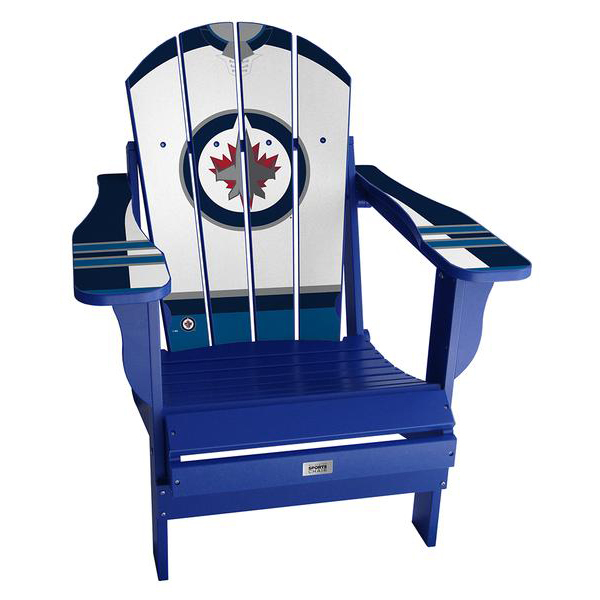 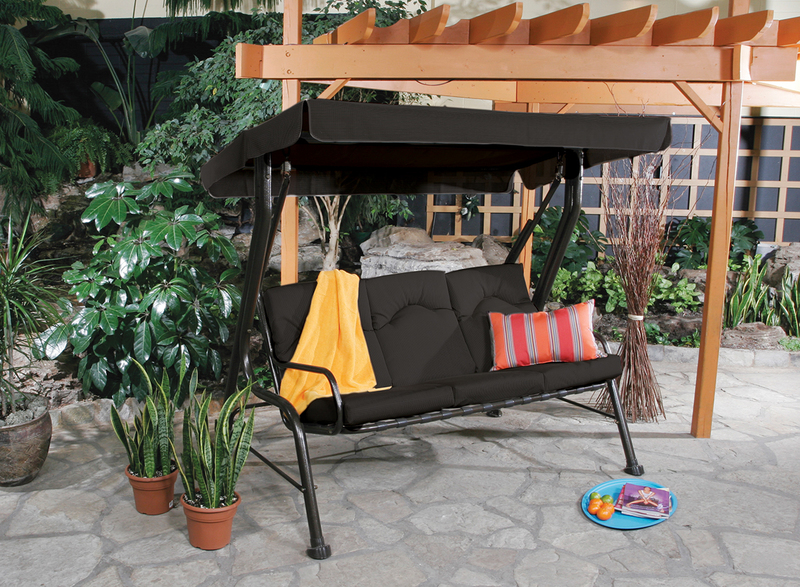 Beautifully designed three-seat swing—perfect to bring elegance to your backyard. 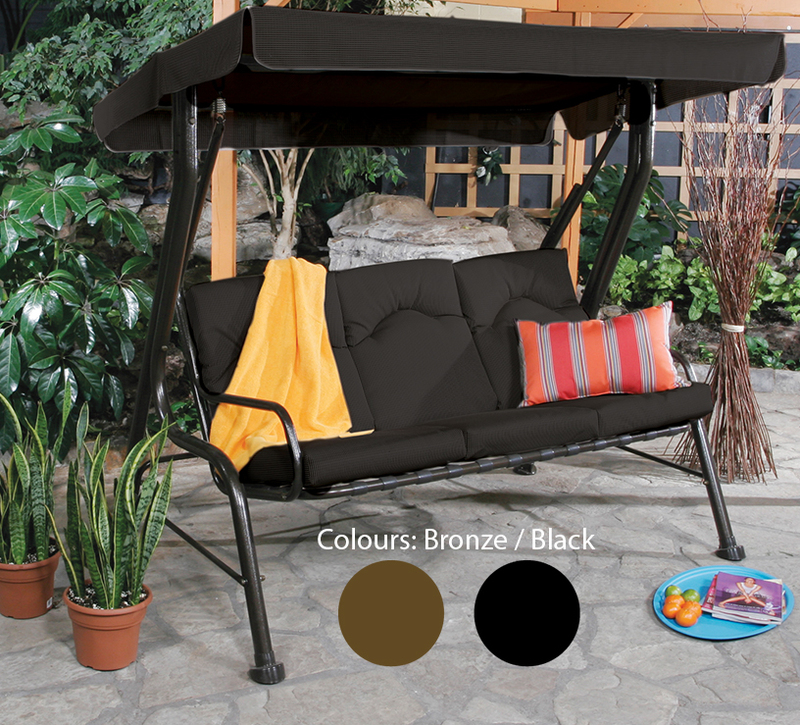 Made of powder coated steel, a water-resistant canopy to shield you from the rain or heavy sun, this swing is perfect for swaying early in the morning or in the evening. 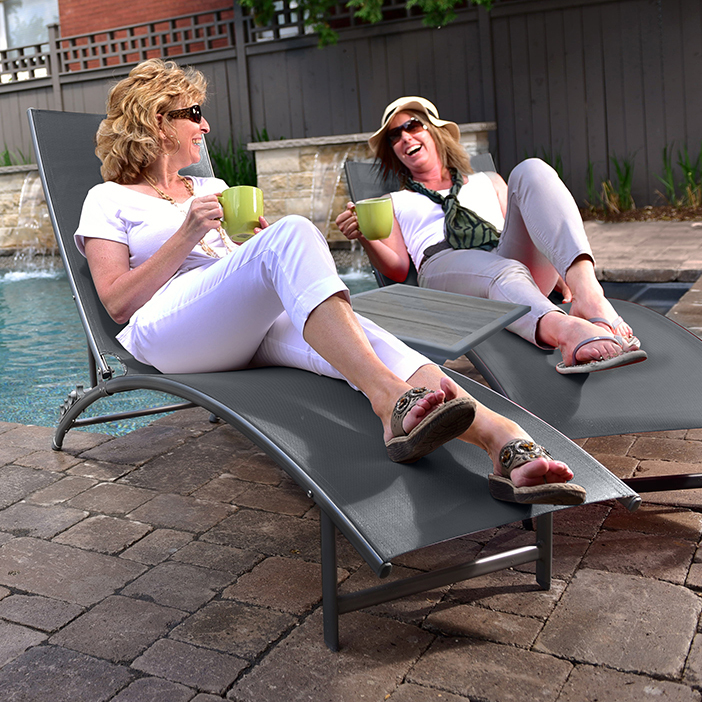 Features thick and comfortable PVC cushions designed for your relaxation!